On October 3, 2009, in the Saturday morning session of the General Conference of the Church of Jesus Christ of Latter-day Saints, Church President Thomas S. Monson announced that a temple would be built in Brigham City, Utah. This news surprised and delighted church members in Box Elder County and Southern Idaho.Box Elder News Journal, “Brigham City LDS Temple”, Aug. 2012. p. 1. When asked about her reaction, Beverly Yates of Elwood said, “I was shocked! I would not have thought it would happen because there are so many temples around here. There’s the Logan Temple; there’s the Ogden Temple; there’s the Bountiful Temple. And to have a temple this close was incredible! I feel like we’re the luckiest people in the world to have it so close and such a beautiful building in this area.”Interview of Beverly Yates conducted by Kathleen Bradford, Aug. 15, 2012, p. 1. I was listening to General Conference when it was announced. It was quite a shock because we never thought a temple would be built here when we had such close temples in Ogden and Logan. A surprise and just an excitement that I can’t explain came over us – that we would have a temple here in Brigham City! The election was in November, and then I was sworn into office the first week in January. That’s when I got involved. I knew it would be a positive and sacred thing for the members of the LDS Church, but it would also be an economic boom for the whole community.Interview of Mayor Dennis Fife conducted by Kathleen Bradford, June 6, 2012, p. 1-2. After their initial elation surrounding the construction of a new temple in town, people began speculating about where it would be built. Their curiosity was satisfied on Oct. 27, 2009, when church leaders announced that the temple site would be the city block directly across Main Street from the historic Box Elder Tabernacle.Box Elder News Journal, Oct. 27, 2009. 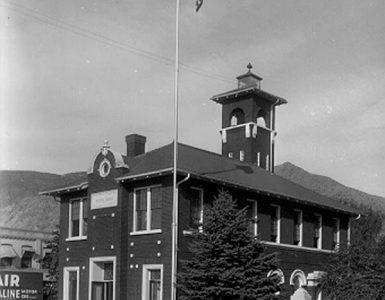 The school was the main elementary school in our community. It was a three-story building, and it was the building where President Boyd K. Packer obtained his elementary education. I was hired as a real estate agent and broker to market the property on behalf of the Box Elder School District. I also was acting as an agent for O. J. Call, founder of the Flying J Corporation. He had developed a substantial business and had determined to move his office to Ogden. The result of that was that he needed to sell his 30,000 square-foot office space, which he had listed with my company as well.Interview of Jeffrey Packer by Kathleen Bradford, June 13, 2012, p. 1. A property exchange between the school district and Flying J resulted in the school district’s administrative office occupying the former Flying J corporate office, the Dale Young Community High School moving to the former district office, and Flying J transferring its business to Ogden. Those sites sat for literally six or seven years without us being able to find a buyer after we had invested well over $600,000 in improvements. It was a very discouraging time. I took care of the property wondering why we couldn’t find a buyer that would locate a business in downtown Brigham City, believing that it was just a superb site for such a location. Well, in May of 2009, I was contacted by a Brother Davies of the LDS Church. He asked me to start sending him information about the site. Although Packer didn’t know it at the time, that contact was the first step leading to the eventual sale of the property to the Church as the site of the Brigham City Temple.Interview of Jeffrey Packer by Kathleen Bradford, June 13, 2012, p. 1. That kind of took me by surprise, but it was a pleasant surprise. I had hoped that I’d be able to do something as we began this project. I just wanted to be a contributing factor. I asked him, “What exactly is the temple district?” Because I wanted to know how far I could go to get resources for the groundbreaking. That was particularly pleasing to me because I had been interested in the history of this stake for a long time. In 1977, when our stake celebrated its anniversary, the centennial, I learned that the Box Elder Stake was the 20th stake formed after the exodus from Nauvoo and had basically the same boundaries as the new temple district. So it’s really a pioneer stake, and establishing it was the last official act that Brigham Young performed on the 19th of August 1877 because on the 29th he passed away. He didn’t take any other official actions. The groundbreaking went well because we just had so many people who were helpful to us.Interview of Ronald Frandsen by Kathleen Bradford, June 21, 2010, p. 3, 4. After the site was announced, many people would drive by, and you’d see them taking family pictures right out on the ground of the Temple site, which was basically a vacant lot with weeds. They were picking up rocks and taking the rocks home. The more Mike and I saw that, the more we realized that we were going to have a good turnout. On the morning of the groundbreaking, people started showing up about 5:30 with lawn chairs, their coolers and blankets. They were on the Tabernacle lawn, and they also had come over to the Temple grounds. Even though we didn’t let them into the seating before 8 o’clock, they were there. By 8 o’clock to 8:30, we were packing them in like sardines. We estimate with the Police Department, that somewhere between 8,000 and 10,000 people attended the groundbreaking. We had all the chairs filled. The space behind the chairs that we had roped off, so that they didn’t fall off the little inclines there, was full. The grounds of the Tabernacle were full, with families with blankets and picnics making an event of it. We felt they needed to know because it would impact their economic intake for that day. All of them were great. Smith’s brought in extra deli help. They brought in donuts, drinks — those kinds of things – to cater to the people that would be coming to the groundbreaking. The ground was all leveled; we chalked off where the chairs were going to go. Chairs were brought in an orderly fashion and were all set up. The sound system was put in, and streets were closed. So there was a great coordination between the Church Groundbreaking Committee and the City in making things happen.Interview with Jim Buchanan by Kathleen Bradford, Aug. 7, 2012, p. 1-3. After President Packer dedicated the temple grounds, he joined other Church Authorities and City leaders in turning the soil. Children were then invited to help in breaking the ground. At the advanced age of 85, President Packer said he would be present for the dedication of the temple itself. “I’m getting a bit rickety,” he joked, “but I feel confident in promising you that I’ll be back for the dedication of the temple. And I think I have enough authority to get me assigned to be here.”Box Elder News Journal “Brigham City LDS Temple” p. 8-10, 22-23. It’s always been commercial and industrial buildings, everything really from office construction to manufacturing buildings, food plants, dairies, and distribution. And for the past 7 or 8 years we have been able to be involved in temple construction. We got an opportunity to do some remodeling work during a shut-down period in the Salt Lake Temple. That was our start. We went in one summer during their shut down and did a good job for them. As a result of that, I think, we got an opportunity to go to Twin Falls and bid and won that project. That was the first ground-up temple that we did. Since then, of course, the Brigham Temple was completed just recently. We are in the process of the renovation of the Ogden Temple and its complete grounds – the tabernacle and parking there. We continue to do work every shut down in the Salt Lake Temple while there are no patrons there. Every building starts with a foundation, and so you excavate for the foundation, and it all builds upon that – whether it be a steel structure, a concrete structure, or masonry. All those components were used in the Brigham Temple, and then they just came together into a finished product. In the temple it was a structural steel frame with some concrete core walls at the ends where the elevator shafts are, which gives it the rigidity in the structure. Then, of course, once the steel structure was up and in its framed condition, what you saw going on were the precast exterior panels, which are precast concrete. The concrete is built in plants. They make it in a controlled environment with concrete and crushed stone. For some of the glitter you see in there, there is stone in the Brigham precast, which gives it that stony, glittery look. It’s cast in a controlled environment with anchors on the back so it can attach to the building. In Brigham City I think there were a lot more eyes on the project than the normal, and it was a very special project for Brigham. The construction missionaries there on site, Elder and Sister Peck, did a special thing for the workers. They rotated the opportunity for different families and youth groups to bring lunch to the workers every Thursday. This gave the people of the temple district an opportunity to feel part of the project, and the workers were very appreciative of that.Interview with Dale Satterthwaite, Oct. 26, 2012 by Kathleen Bradford, p. 3-5. It was a very special project here at BIG-D. It takes a full orchestra of team to pull off a project like this. I hand it to all the people that were involved from our managers on down to the craftsmen that made it all happen because it turned out to be a very beautiful temple. I think it’s one of a kind, and it will be special in my mind and heart for a long time as I’m sure it will be to all of those in the temple district.” Interview with Dale Satterthwaite, Oct. 26, 2012 by Kathleen Bradford, p. 10. Twenty-six fruit trees on site. Cast bronze oxen; all 12 unique from each other.Press packet distributed by Church Public Relations Department on Media Day at the Temple, Aug. 15, 2012. Sculptor Karl Quilter has created statues of the Angel Moroni for LDS temples in countries all over the world. He spoke about the process at a meeting in the Box Elder Tabernacle June 24, 2011. He explained that the statues measure 12 feet in height and vary in weight because he has used different materials in the sculptures. For example, the San Antonio statue weighs 267 pounds compared to the 4,000-pound one on the Salt Lake Temple. He talked of the gold leaf on the statues being about 1/100 as thick as a human hair. He said the amount of gold is about the size of a 50-cent piece but has been hammered and rolled out to about an acre in size. Quilter added that it is now standard procedure to install a lightning rod into the sculpture, so that when it is placed on the temple, the rod fits into the spire like a key into a lock.Box Elder News Journal, June 24, 2011. Contractor Satterthwaite described the day, July 12, 2011, when the statue was installed on the Brigham City Temple, “We waited all day long, but we just had too much wind that day. You can’t fit loads on a frame when there are winds over 15 or 20 miles an hour. There were a lot of people there that day – some antsy and some probably impatiently waiting. He finally went up in the mid-afternoon.”Satterthwaite interview, p. 6. About a half hour from the time it was ready to set, there were 4,000 or 5,000 people waiting to see the Angel Moroni installed. When you take that many people and put them in a square block, that’s a lot of people. Remember it was kind of overcast and windy. The winds had to be below a certain number of miles per hour or they couldn’t put the statue up because of the swing. Well, they’d lift it up, and everybody would become enthusiastic. Then they’d set it down, and they’d become disgruntled and say, “Put it back up.” Finally it got to be that this thirty-minute time frame to raise Moroni and set him in place got to be a couple of hours. People left. We had almost determined to open the roads. Well, the wind died down, and up he went. We do not know to this day where they came from, but those people were back. It was like they came out of the woodwork. Just whoosh! So we got him set, and people took pictures, and then they left.Buchanan interview, p. 5. Elder William Walker, a member of the First Quorum of Seventies in the LDS Church and Executive Director, called Aug. 14, 2012, “a great day in northern Utah” as the temple doors were opened to the local media. He then led them through the temple, answering questions and pointing out its similarity to the early temples in Salt Lake City, Manti, St. George and Logan. He showed features of the decor which reflects the history of Box Elder County. For example, Brigham City is known as “Peach City” because of the high-quality peaches raised in the area. A peach blossom theme is apparent throughout the temple, including on the exterior walls, in the carpet, in the round windows and on the backs of chairs. He said that after the dedication, this temple would be the Church’s 139th operating temple in the world and the 14th in Utah. Other temples in Utah are located in American Fork, Bountiful, Draper, Logan, Manti, Monticello, Ogden, Provo, Salt Lake City, South Jordan, St. George and Vernal. This temple will serve more than 40,000 Latter-day Saints living in the northern Utah and southeastern Idaho area. Elder Walker stated that tickets for the public open house are free, but it is necessary to have a reservation. On the day of the media tour, 300,000 tickets had been reserved.‘A happy day’ in northern Utah. Deseret News, Aug. 15, 2012, B1, B6. When he completed the statue, he had it bronzed, and displayed it at the workers’ tour of the temple. He titled the sculpture “The Master’s Hand.” On a table beside it was a framed tribute which stated, “This sculpture was created by Elder Gregory Peck, Brigham City Temple Construction Missionary. It is dedicated to all the construction workers who helped build this magnificent House of the Lord.” The sculpture remained on display in the hospitality room of the temple throughout the month-long open house.Interview of Gregory and Michele Peck by Kathleen Bradford, Aug. 30, 2012, p 8, 9. Public tours began on Saturday Aug. 18 and ran through Sept. 15. 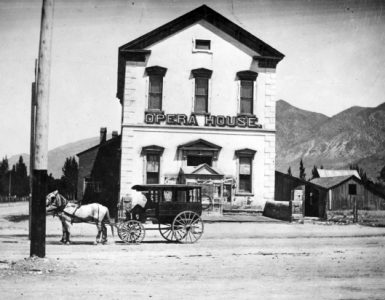 Throughout that time, numerous individuals, youth groups and families dressed in their Sunday best came to tour the temple and were also seen in Brigham City’s parks, restaurants, and other businesses. They were transported by bus to the temple from two locations – one in the south part of town and one in the west. The tours began with a 10-minute film explaining the history and use of temples. The visitors were then taken by local guides on tours of the temple, and many were seen afterward on the immaculately landscaped grounds posing for photographs after their tours. Elder Walker told the crowd assembled that 404,000 people had attended the open house. She hadn’t been blind all of her life so she knew color, and so I could tell her what colors things were. She put her hand on the table and said, “Oh, this is beautiful! I said, “Well, it’s marble. I hadn’t looked at it as a detailed statue. I had to feel it to see what she saw – close my eyes and feel the detail. I saw the temple through her eyes, which was so different from what my eyes saw. I was so humbled!Interview with Sharon Christensen by Kathleen Bradford, October 5, 2012, Brigham City, Utah. I attended the media tour of the newly-finished Brigham City Temple on August 14, 2012. I saw local history depicted throughout the building, such as paintings of area landscapes, peach blossoms represented in the building’s décor – in the carpeting, chandeliers, and windows. We were shown portraits of church leaders highly involved in the settlement of the community. On the temple grounds, we saw fruit trees incorporated into the landscape to portray the importance of horticulture in Box Elder County history. I was asked by President Gregg Kotter to serve on the hospitality committee for the Brigham City Temple. Each week our committee met to discuss plans for providing food for several events in regards to the Brigham City Temple. Our first big responsibility was to plan and prepare food for the VIP’s who would be attending the temple the week before the open house began. The VIP’s included the media, people living close to the temple, businesses, etc. We served the following foods: chicken croissant sandwiches, ham sandwiches, tortilla roll ups, fruits, vegetables, brownies, pumpkin bread, banana bread, peach tarts, and an assortment of cookies. A picture of the Brigham City Temple and important dates were placed on the labels of individual water bottles. We were told to expect 5,000 people, but we ended up serving 10,300 people. We had to run to the store several times and order more food items daily. Our chairman Kathy Hansen Gifford and her husband did an amazing job in coordinating everything that had to be done. I volunteered to make chocolate nut balls for the VIP week. I made 1200 nut balls. They were a big hit and only lasted two days of the week-long VIP week. Our next big project was to provide cookies and water to the guests who were coming to the to the open house. The Church did not want us to invite the members to make cookies so we had Smith’s grocery store make our cookies. Each night they would deliver 26,000 cookies. Most days we used all the cookies. Sometimes we carried them over to the next day. They came in huge boxes that contained 360 cookies in each box. We had chocolate chip, oatmeal raisin, M&M, sugar, and peanut butter cookies. We served over 450,000 people. On the 22nd of September 2012, there was a cultural celebration consisting of youth from the temple district. There were approximately 4,000 youth. Part of our committee’s responsibility was to provide a meal for those participating in the program. We decided to give them each a pulled-pork sandwich, chips, apples and caramel dip, vegetables, pop, and a Fat Boy ice cream. After the open house tours ended and the day before the temple dedication, 4,000 youth from the temple district portrayed its history through singing, dance, narration and projected historic photographs. Immediately the name of the program “Harvest of Faith” came up. We all wanted an agricultural theme. We had chosen a professional writer, and within a week she had the script ready. To portray the history of the temple district, we start with the Shoshone Indians. They were the first ones here. Then we have the Early Settlers; then the Co-op, a big part of our history; then, of course, the Railroad and the Golden Spike; and finally the Agricultural and Harvest Celebrations. That’s when the Peach Days parade started. We have the Bird Refuge; Patriotism, which covers the Bushnell Hospital and the soldiers. Then we have Industry, which covers the big companies in the area. Then we end with how we come from pioneer stock, and we are proceeding to spread the mission of the Church. Our musicians produced in a month and a half four original music scores that are just amazing. Then we have our choreography, which is huge. Our gifted choreographers came up with all the dances. They’ve worked overtime. We have our stage directors, stage production people. I’m not a drama person, so with a lot of this stuff, I don’t know where to go, but these people know what to do. Volunteers from every ward were given such assignments as making costumes or props, transporting young performers to and from their various rehearsals, or teaching songs and dances to small groups before they merged with the entire cast.Yates interview, p. 1-3. On Sept. 22, the day of the performance, all the leaders and performers spent a 16-hour day on the Box Elder High School football field where the program was staged with the temple spires visible in the background. They had an early-morning run-through of the full performance. Then at both 2:30 and 6:30 pm, the celebration was presented for the audience seated in the stadium. The final performance was also broadcast to audiences assembled in stake centers throughout the temple district. Mrs. Yates had promised success.Box Elder News Journal, “Brigham City LDS Temple” August 2012, p 24. She had said early in the planning, “You can’t get on a field with 4,000 people, be a part of that, feel the inspiring music, and not be touched by it. It’s going to be chills down your spine throughout most of it.” Audience members in the stadium and in the stake centers agreed that attending the celebration was a touching and inspiring experience. As he had promised at the groundbreaking on July 31, 2010, President Boyd K. Packer returned to dedicate the Brigham City Temple on Sunday, September 23, 2012. Sunday meetings throughout Utah were canceled that day so that members could watch the dedication. It was broadcast in stake centers at three different times that day. Before the first session began, President Packer went outside the building to apply mortar to the cornerstone as it was set in place. 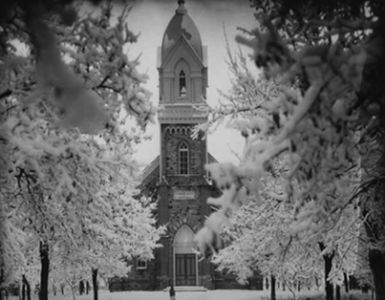 Included in the contents of the cornerstone box were publications about the following topics: Christ, the Chief Cornerstone; Presidents of the Church; Apostles with Ties to the Temple District; Temple History and Memorabilia; Brigham City and Community Heritage; Music; and Stake Histories. Each session was live with different church leaders speaking and praying. President Packer spoke briefly, saying that he and Sister Packer had watched the previous night’s cultural celebration from their own home and had been moved by all the events of the week. He thanked all who participated in building and furnishing the temple. He gave the dedicatory prayer in the first session, and it was read verbatim in the succeeding two sessions by other General Authorities. In the dedicatory prayer, he asked a blessing on the temple and its grounds. He asked that the temple would be kept safe from those who would defile it and that the president and matron and all who enter the temple would find peace. Further blessings were pronounced on the tabernacle and on all those who live in the temple district.Box Elder News Journal, Sept. 26, 2012, p 1, 8-9. Each session’s agenda featured congregational singing and special numbers performed by choirs. Two weeks after the dedication, the temple was opened to worthy church members to participate in the sacred ordinances performed within the temple. President Boyd K. Packer once wrote about temple work, “No work is more of a protection to this Church than temple work and the genealogical research which supports it. No work requires a higher standard of righteousness. Our labors in the temple cover us with a shield and a protection, both individually and as a people.”Tate, Lucile C. Boyd K. Packer, A Watchman on the Tower., Bookcraft, Salt Lake City, Utah, 199, p. 204.